Last year Classic Additions were recently approached to make a custom made cover for a very special and rare racing car which is part of a private collection. 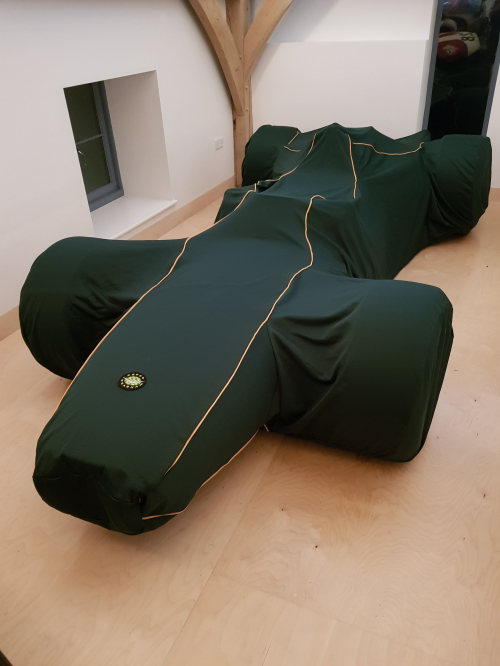 We were asked to make a bespoke indoor cover for a Brabham BT20. The Brabham BT20 was built in 1966, following the 1963 three-litre limit that was imposed on Formula One racing cars. This announcement caused a rush to develop suitable new engines across the board. Australian racer Jack Brabham partnered with Repco to base a new engine on an existing V8 block and reduced the displacement. This stunning example is actually the first of the two to be produced, and has a magnificent history and is a very important piece of motoring history. This new car proved a huge success on the track, entering over 35 races in its time. 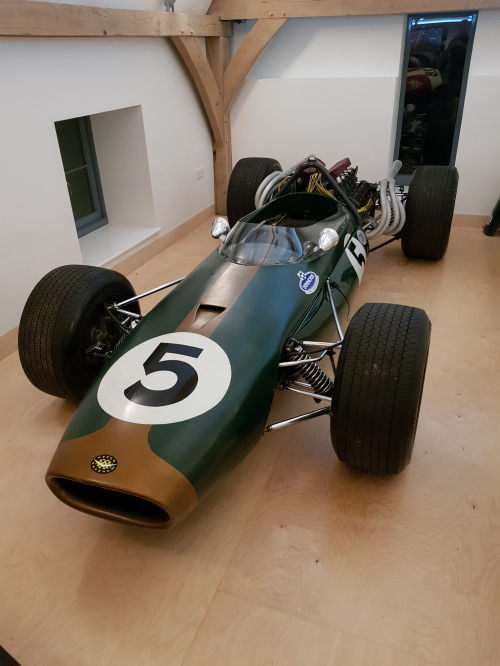 Brabham raced this car (chassis F1-1-66) in the South African GP, the Race of Champions and the International Trophy and won the Spring Trophy at Oulton Park before selling the car to South African operation Team Gunston. Gunston ran the car for three years, usually with John Love driving for the team where he too had huge success with multiple winning races. We were asked by a private collector to make a fitted indoor cover for the car, but it wasn’t accessible for measuring. The customer drew up some plans and sent measurements over to us so we could create a cover. The cover itself was made in a British Racing Green with Golden Biscuit contrasting piping to match the colours of the car underneath. We had a special 8.5cm logo digitised and then an embroidered badge made for the customer, in the same small size as the logo underneath on the car itself. The customer was really delighted with the cover, and it is in use to keep any dust off the stunning race car underneath. Take a look at this fantastic information about the second of the two cars (chassis F1-2-66) which was recently up for auction with Sothebys.